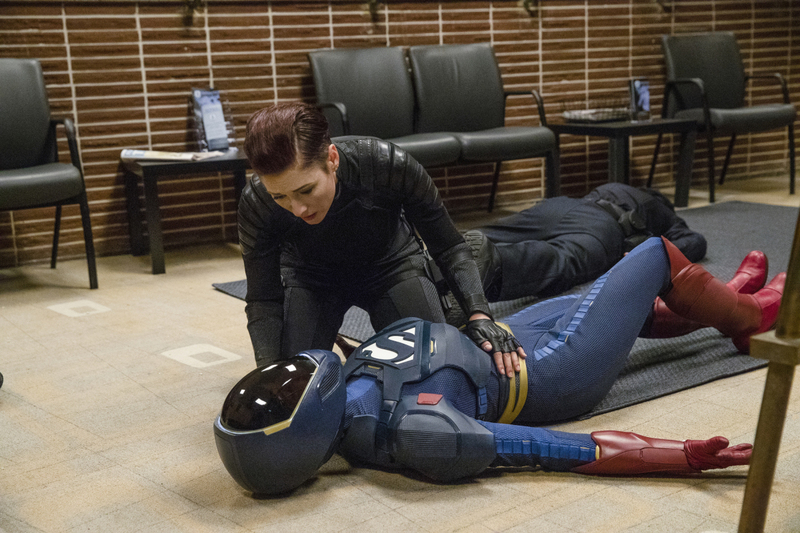 J'ONN MEETS MANCHESTER BLACK - When Supergirl (Melissa Benoist) needs help, Alex (Chyler Leigh) asks Lena (Katie McGrath) and Brainiac (Jesse Rath) to team up. Meanwhile, J'onn (David Haredwood) questions his decision to quit the DEO. However, after running into Manchester Black (guest star David Ajala), he realizes there are a lot of ways to help his fellow aliens during this tumultuous time. Armen V. Kevorkian directed the episode with story by Eric Carrasco and teleplay by Katie Rose Rogers & Jess Kardos (#404). Original airdate 11/4/2018. Comic used nanites for the same issue some years ago. So...what else can it clean? Sounds like a possible control system to have cleaning air among other things. Hopefully this isn't the only time they include Manchester Black. That was a very weird, short shot of another Supergirl. Maybe a setup for the crossover? The multiple appearances of Beebo in the Arrowverse were fun when they didn't over do it. Supposedly the Russian Supergirl will be featured in the second half of the season. Manchester Black! I really hope we get to see his powers down the line. The Super Suit...nice design. I like it.